Elves, Riders of Rohan, Orcs? 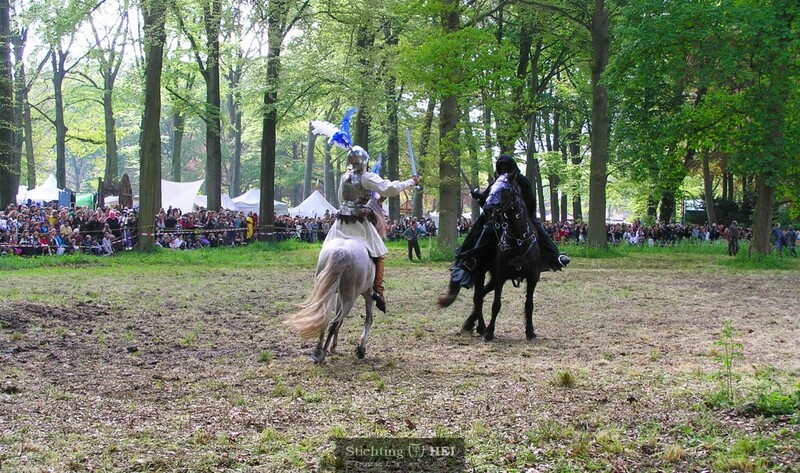 The historically correct gear of our knights is perfectly capable of being mixed with pieces of fantasy, thereby creating a beautiful and realistic atmosphere. John Howe, the illustrator, who was in charge of the props and costumes for the Tolkien movies, was a member of the renowned living history group Company of Saynt George for years, and it shows in his work! The ties that HEI has with the roleplay world makes us capable to offer you our services also in the realm of fantasy mounted shows. Please contact us and we will be glad to talk over your wishes.